Paying for your children's tuition does not count as a donation. Whether you give a few bucks or enough to have a building named after you, donations to universities are tax-deductible. This includes nonprofit private and state colleges, whether you donate cash or property. To write off your donations, you have to itemize deductions on Schedule A instead of taking the standard deduction. 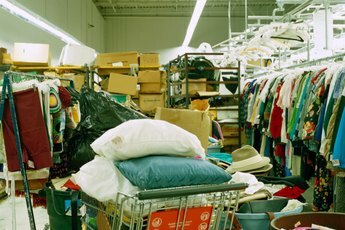 If you get something in return for your donation, that counts against your write-off. For example, if you spend $1,000 to attend a fund-raising alumni dinner at a $100-a-plate restaurant, you'd only deduct $900. Likewise, if the college says thank you for a donation with skybox seats at the big game, you have to subtract the value of the tickets from your deduction. If your donation earns you only the option to buy a ticket, you can can write off 80 percent of your donation. It's easy to figure the value of cash donations: whatever figure you write on the check is the size of your deduction. If you donate property -- land, equipment, rare books for the library -- your deduction usually equals the fair market value of your donation. If you contribute time -- sitting on a college committee, for instance -- that's something to be proud of, but it nets you exactly zero in deductions. If you pay for a ticket to travel to a conference, that expense might be deductible. No matter how much you donate, you can't write off more than half of your adjusted gross income. If you actually gave more than that, you can carry over the excess to next year and deduct it then. 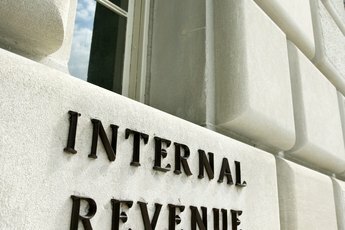 The IRS imposes another limit on capital gains contributions -- non-cash donations where you would have paid capital gains tax if you'd sold the property. You can only claim 30 percent of the value of your donation if it's a capital-gain property, such as land, art or stocks. 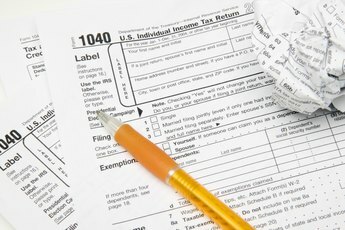 Keep records of any donations you claim on your taxes, so that you can prove the deduction if the IRS ever audits you. For cash, a bank record or a cancelled check is good enough. For non-cash contributions, you need a receipt identifying the university and stating what you donated and when. The more expensive your contribution, the more information you need. Above $5,000, for example, you need an appraisal to confirm the value of your contribution.